Shrink Bags. AJM shrink bags are made from quality 100-Gauge PVC materials. Bags will shrink 40% in length and width and will gain tensile strength as they shrink down. Shrink bags are used for small boxes, CDs, DVDs, software, gift baskets, etc. A heat gun or sealer will be necessary to use shrink bags correctly, if this is your first time using shrink bags, check out our Shrink Bag Starter Kits. Please note that shrink bags are non-food grade material (i.e. they cannot be used on fish, poultry, meat, or raw foods), however it is OK to use shrink bag on packaged food items. 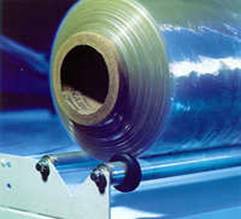 PVC Shrink Film. A general purpose, non-food type shrink film. It is the highest quality of clear, strong films. It is crystal clear, rapid shrink, and center-folded. Shrinks 40% in length and width. Click here for full specifications. Cryovac Polyolifin Shrink Film. A clear and extremely strong shrink film. A general purpose, center-folded, non-smoking, food grade (USDA and FDA approved) film of the highest quality. Shrinks 35% in length and width. Click here for full specifications. ITEM # BAG SIZE & DESCRIPTION.